Product: Big Bang Bar Plastic Sets – Cut or Uncut! 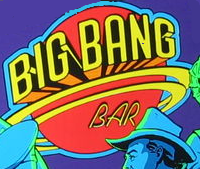 We are considering a re-run of the Big Bang Bar Playfield plastic set and if we get enough interest then we will run them. We can run them both as a cut set or an uncut set (to hang on a wall, etc). These are very difficult to find aftermarket and if we get enough we will run them. NOTE: COMMIT is your PROMISE to purchase when offered if offered within the next 3-6 months from now. The Price will be $139/set CUT (ready to install on the game), and $109 UNCUT (to hang on a wall as a sheet). PLEASE LET US KNOW CUT or UNCUT as relative to your quantities in the comments. These will be silkscreened original artwork same supplier who made them for the IPB Big Bang Bar game run.